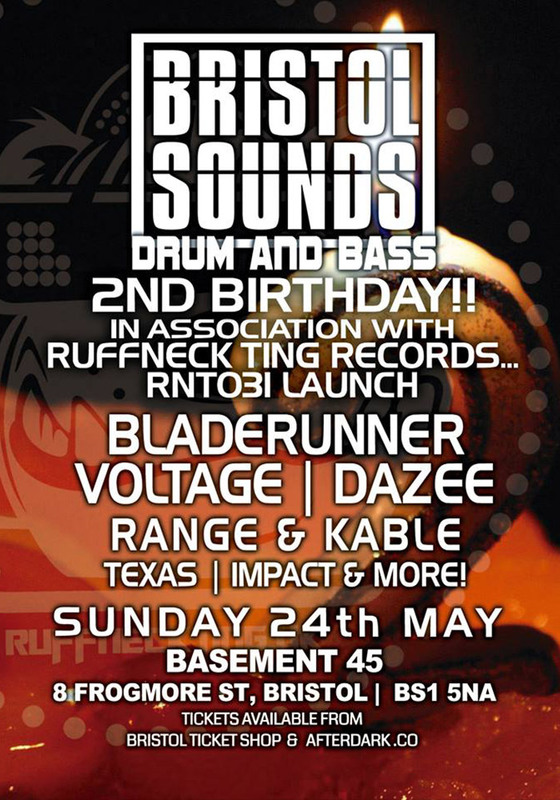 It’s Bristol Sounds second birthday party and they’ve invited us along to share the party! As we are also celebrating a cheeky little release and “Love Saves Sunday” will be rocking many peoples’ worlds in the daytime, we thought only a mighty line up for this evenings entertainment would do. So for your dnb dancing pleasure we have the one and only Bladerunner, Voltage, Dazee, Range and Kable, plus rising stars Michael ET and Relentless. Lyrical support is provided by Texas, Trafic MC, Twitchie Chords, Ydott and MC Rukus. It will be large!